MONEY SAVING MOMMA IN NNJ: WOW!! $3+ Free Shipping! 2-Pk: Topsy Turvy Cloudburst Watering Cane With Water-Hose Tubing & Fertilizer Chamber! WOW!! $3+ Free Shipping! 2-Pk: Topsy Turvy Cloudburst Watering Cane With Water-Hose Tubing & Fertilizer Chamber! $3+ Free Shipping! 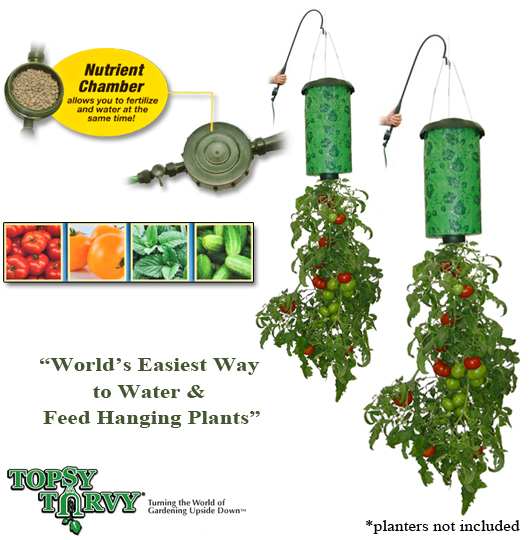 2-Pk: Topsy Turvy Cloudburst Watering Cane With Water-Hose Tubing & Fertilizer Chamber!